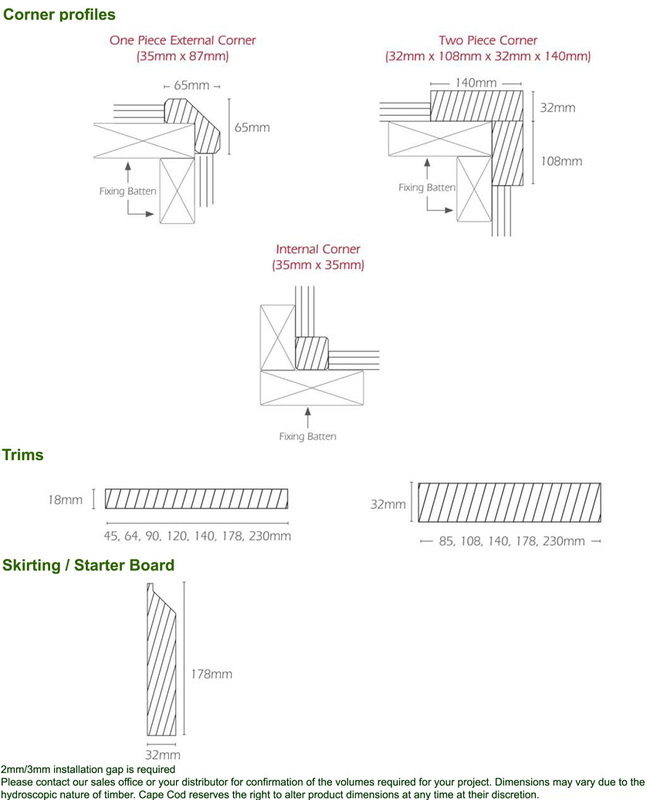 Vincent Timber - Products - Semi-Transparent Cape Cod Cladding. 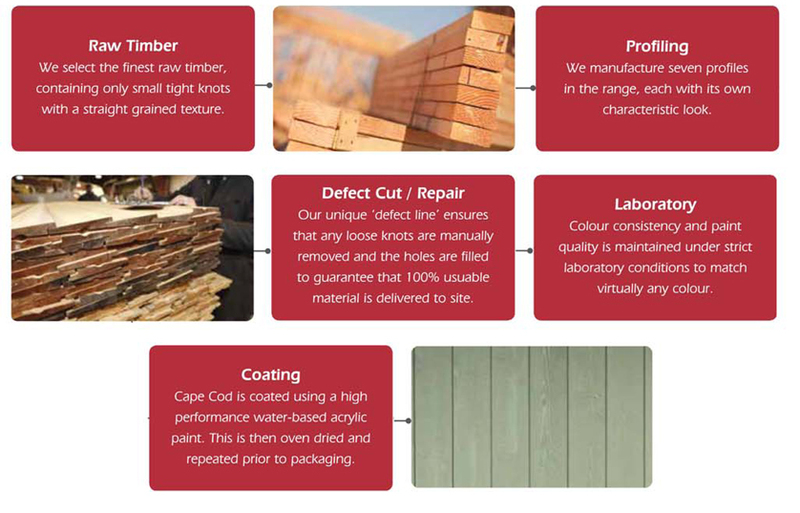 Cape Cod Wood Cladding is North America's premier manufacturer of pre-finished wood cladding trims and colour-matched accessories, manufactured under one roof in a controlled environment. By manufacturing wood cladding from raw wood to a finished product, they control the quality at each stage of production. It's your assurance of a 100% usable product that is pleasing to the eye and environmentally sound. 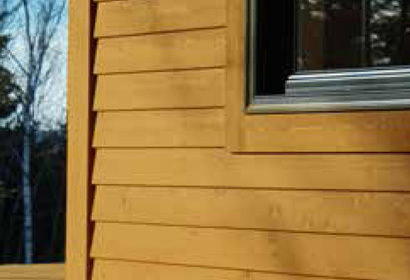 Cape Cod cladding is manufactured from hand selected Canadian Lodgepole Pine which is then kiln dried and band sawn to produce a textured face. Lodgepole Pine works well with hand or power tools and takes nails readily and holds them securely. Lodgepole Pine seasons easily with little shrinkage, and when dry, remains stable. Special kiln drying reduces the moisture content of the wood before processing. The intergrown knots are small and sound and readily accept and retain the factory applied coating. Vincent Timber is able to supply a wide range of materials compliant with DEFRA. This covers all legal, sustainable and certification requirements to allow architects to specify with total confidence. Cape Cod, with coating partner PPG, has developed a stunning range of SEMI-Transparent colours. Produced to the same high standard, these claddings provide a more �natural� look whilst retaining a high performance. 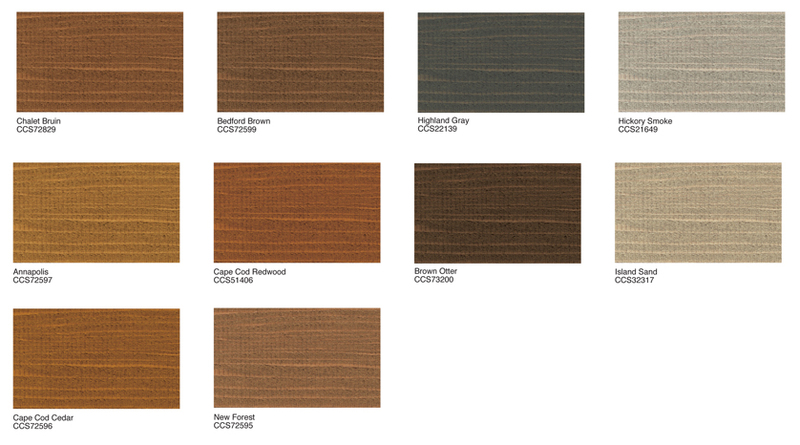 The range of colours is available in all profiles and trims, with colour matching nails.